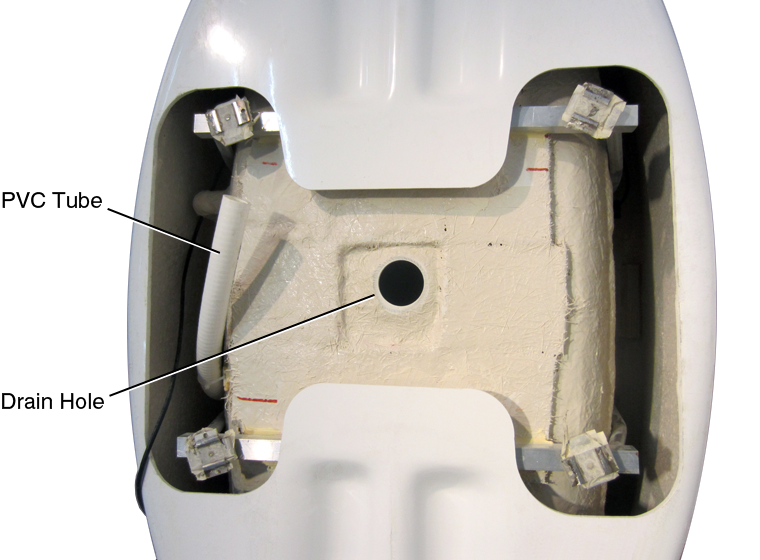 The blower motor for the Escale freestanding BubbleMassage bath must be mounted remotely. There is not enough space to fit the motor under the bath skirt. The bath is equipped with a flexible 1" PVC tube to connect the blower motor. The PVC tube comes out from the underside of the bath, near the drain hole. Connection to the PVC tube should be made using a union and additional PVC tubing.